We love evergreens for their four-season interest especially in a fresh snowfall. Since they keep their needles/leaves year round, it is important to take some steps to make sure evergreens remain healthy through the winter months as they will continue to lose water and be susceptible to damage from sunscald or windburn. The best protection against winter damage is moderate moisture in the soil. Continue checking the soil under evergreens into early winter or until the ground is frozen. If we have a dry fall, make sure to keep these plants well watered. Some evergreens, planted in windy or sunny sites may need to be treated with an anti-transpirant spray like Wilt-PrufÒ after they have had enough cool temperatures to go dormant, but while temperatures are still above freezing. The spray needs to be applied in daylight when temperatures are above 40 degrees and dry thoroughly so it doesn’t freeze on the leaves/needles and properly bonds to the surface. The spray creates a protective film so that the leaves do not lose as much moisture in the dry winter wind. This coating is a natural product derived from pine resin and it gradually wears away over a period of four to six months. 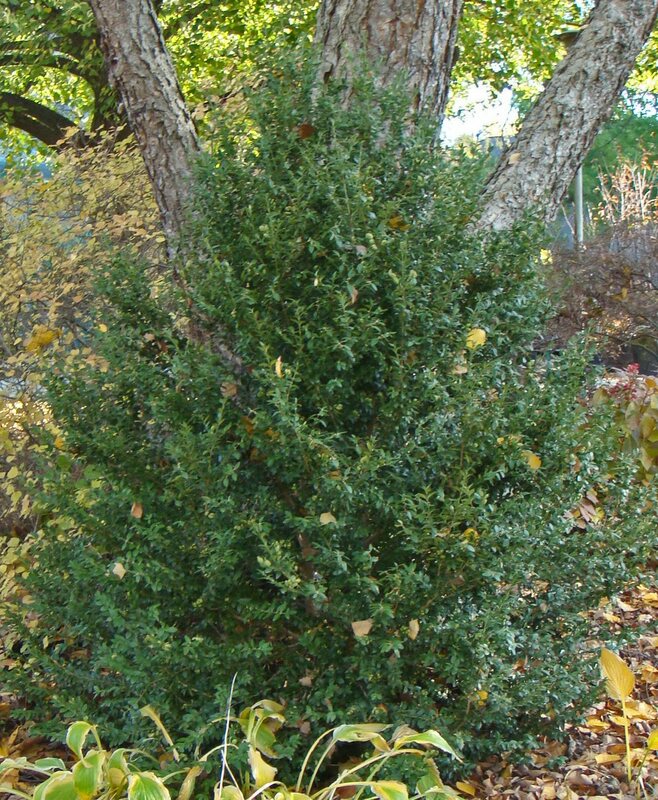 Newly planted, broadleaf evergreens and yews that get afternoon winter sun will also benefit from this protection. For cedar, cypress, juniper and arborvitae, it is important to wait until late fall when these plants have had a chance to harden off and the moisture in the foliage has retreated to the root system for the winter. Protect these plants if they are newly planted or are in sunny, windy sites. Broadleaf evergreens such as boxwood and rhododendron may also be protected from winter damage. Because broadleaf evergreens have a different leaf structure, you can apply the product well into winter, as long as it’s a sunny day when temperatures are above freezing. One application usually is sufficient, but follow the directions on the label. To protect Christmas trees, wreaths and roping, spray thoroughly and allow them to dry before bringing the greens indoors.